Our family has been farming here for many generations, since at least 1630. Our ancestors cultivated the land and built buildings to house the family and for agricultural use. The farm – and indeed the Ardèche region as a whole – had its golden age at a time when silkworms were bred here. The Bastide is a former magnanery or silk worm farm, and rooms on the upper floor housed the precious Bombyx caterpillars and their silk cocoons. 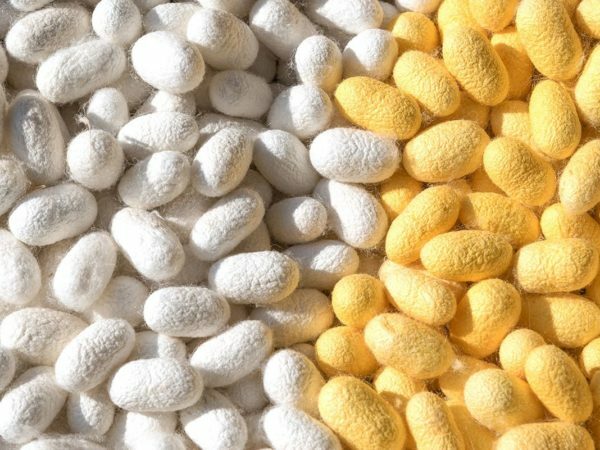 Unfortunately, the arrival of pepper disease in the middle of the 19th century and the introduction of synthetic textiles had a serious impact on silkworm farming. 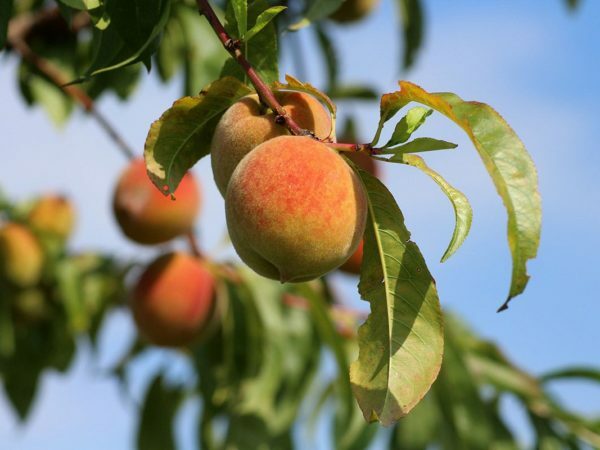 Until the 1980s, fruit trees, including cherries, apricots, chestnuts, and especially peaches, were a valuable crop for the farm. Vine growing has always been part of the landscape in this region. 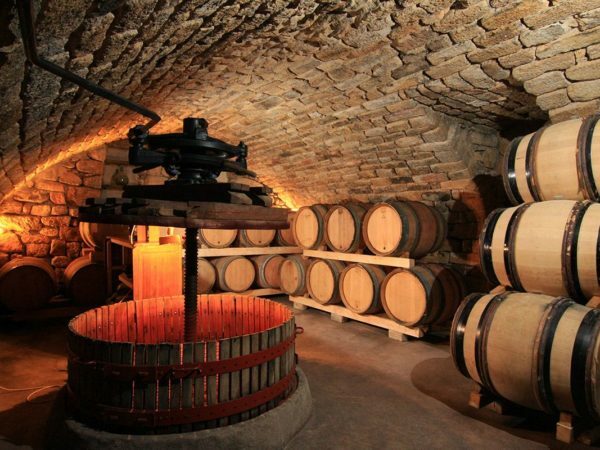 Domaine d’Augnac’s barrels and wine press are still to be found in the Bastide’s cellars. Until the 1930s, wine was made on site and sold directly to the dealers, but since then the grapes have been taken to the wine cooperative in Rosières. Olive trees are now the main crop at Domaine d’Augnac. 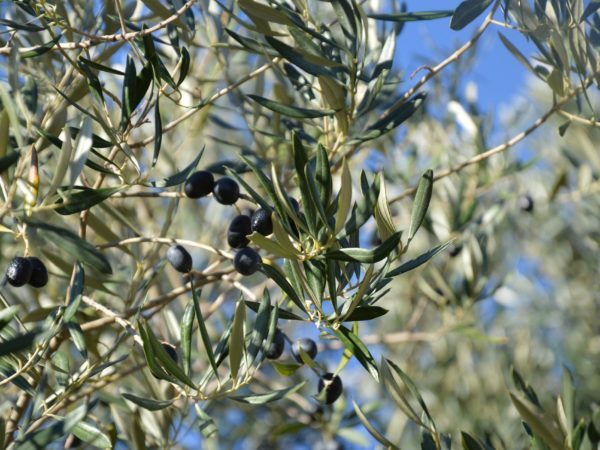 This is a new undertaking, and in a few years we will be able to offer you our own oils and olives to eat. But you have to be patient, as an olive tree takes ten years to produce its first crop. In the 1980s, Claude and Maryse added a new chapter to the life of the farm in the form of a holiday village They wanted to keep the buildings in the family and find a way to renovate and maintain them. Their son, Sébastien, had been lending a hand with the vines for several years. His grandfather had passed on his passion for working on the land and growing vines. After studying winemaking, he started his own winery and until 2018 made high-quality organic wines. Sébastien’s partner Jessica became part of the farm’s story a few years ago. 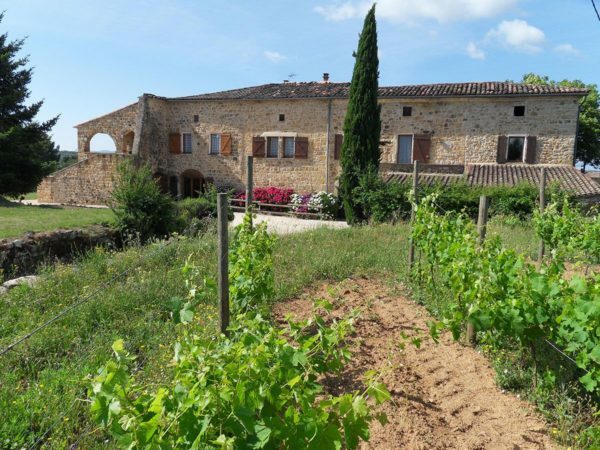 A native of the Ardèche mountains, she returned from her travels in order to rediscover her roots, and a new project developed as a result of her meeting Sébastien.